Showing 35 articles from February 8, 2013. Balancing the books in the dark? FRANKLINTON — For financial reasons, town staff members are looking at turning out the lights — at least along some streets. 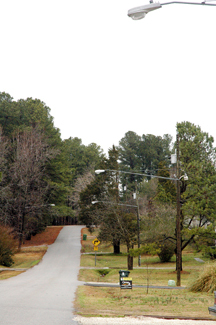 During a retreat last month, town commissioners and staff talked about the cost of operating street lights in town — pledging a way to bring costs in line. LOUISBURG — The U.S. Postal Service delivered a message this week — come this summer, Saturday mail delivery will be a thing of the past. The news was met by a range of reactions, from shrugged shoulders to outright objections, from letter carrier to farmers’ unions. As of press time Friday, a couple of hours prior to the filing deadline, the battle for the newly vacated Franklin County Board of Education seat will feature two people. 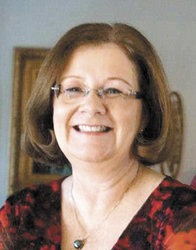 Bobbie Richardson resigned her District 3 School Board seat last month after being appointed to the General Assembly, representing half of Franklin and Nash counties. 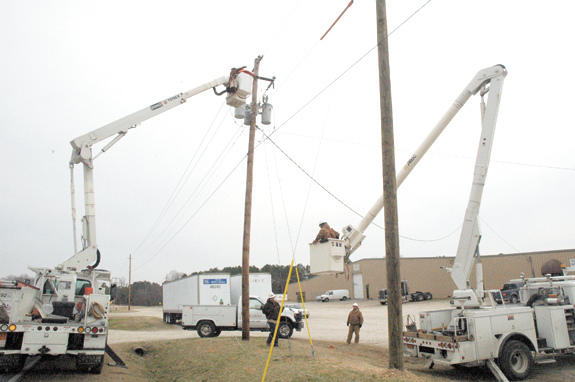 Members of Louisburg’s Electric Department spent Thursday afternoon using tandem bucket trucks to upgrade some power lines leading to the Ford Warehouse located on West River Road. Lottery wins are fine but did they catch any fish? 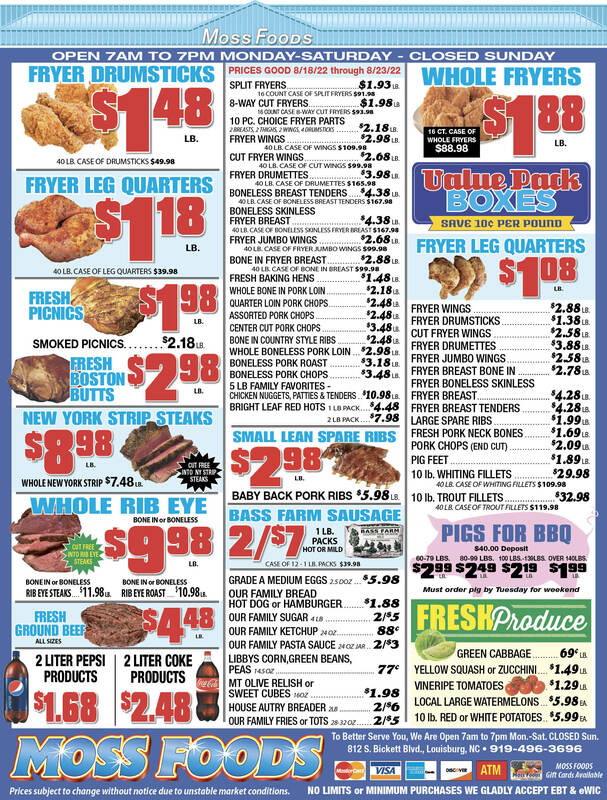 GOOD MORNING: Talk about luck, how about the Arkansas couple that bought a lottery ticket at a convenience store while on a fishing trip that netted them a $1 million prize recently? But that’s not all, on the way home they stopped at the same store and bought another ticket that netted them an additional $60,000, I believe it was. Those words were spoken by a lobbyist who has spent a great deal of time recently hanging around the General Assembly trying to get a feel of where things are going. 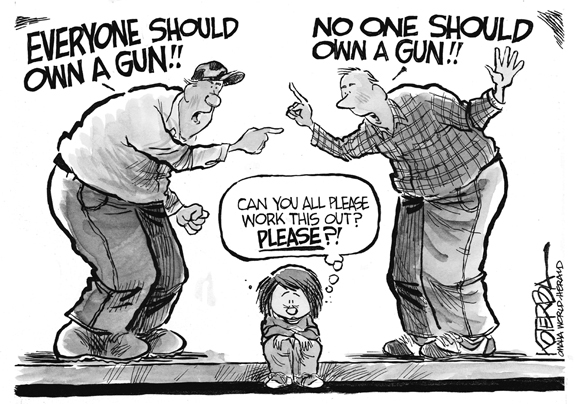 And that opinion, if it’s correct, isn’t good news for most of us. The worst-kept secret of the 21st Century hit the front page this week when the hidebound U.S. Postal Service announced it would stop Saturday delivery of most mail. The exceptions are the packages they deliver for UPS and FedEx under contract. LOUISBURG - Gracie Hogwood, 81, died Wednesday, Feb. 6, 2013. Funeral service will be Monday, Feb. 11, at Greater St. Delight Baptist Church, Castalia. Interment will follow in the Castalia Baptist Church cemetery. Visitation will be from 12-1 p.m. prior to the services at the church. HOLLISTER - Funeral services for June Artis Rudd, 72, who died Tuesday, Feb. 5, 2013, will be held Monday, Feb. 11, at White Rock Baptist Church, with the Rev. John Lee officiating. Burial will follow in the Rudd family cemetery. FRANKLINTON - Norwood Blackley Kearney, 93, died Tuesday, Feb. 5, 2013. Funeral services were conducted Thursday, Feb. 7, at Mt. Olivet Baptist Church by the Rev. Carl Hunter. Burial followed in the church cemetery. ZEBULON - Frederick Horton Ellington, 67, died at home early Wednesday morning, Feb. 6, 2013. 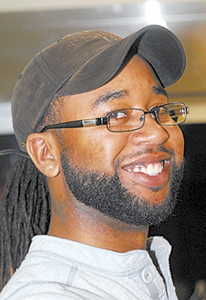 Funeral services were held Friday, Feb. 8, at Zebulon Baptist Church. Burial followed in the Horton Cemetery with military honors. YOUNGSVILLE - William J. Gorham Jr., 69, died Monday, Feb. 4, 2013. Arrangements by Montlawn Funeral Home, Raleigh. FRANKLINTON —Quilla A. Byrd, 92, died Sunday, Feb. 3, 2013. Arrangements by Cutclins Funeral Home, Franklinton. EYE OPENER. (L to R) Franklinton’s Charity Snelling and Bunn’s Tainasha Vines follow a loose ball during Tuesday’s hoops matchup at the Bunn Dome. 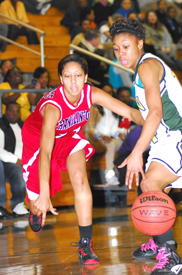 BUNN -- Not all of the victories during Bunn’s four-year unbeaten streak in the Northern Carolina Conference have been masterpieces -- as evidenced by Tuesday’s home triumph against the Franklinton Lady Rams. Despite being undermanned due to injuries, the Lady Rams were able to control the pace of the game while refusing to submit to Bunn’s trademark pressure defense. CRUDUP CLEANS UP. 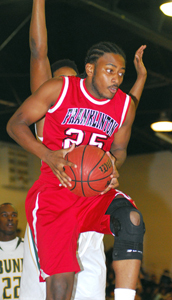 Franklinton’s Tykwan Crudup grabs a rebound during Tuesday night’s road loss against the Bunn Wildcats. BUNN -- Bunn coach Gerald Melton had hoped to avoid a repeat of his club’s earlier-season boys basketball showdown against backyard rival Franklinton. That was when the homestanding Red Rams pushed BHS to the limit, with the Wildcats escaping late with a three-point conquest. 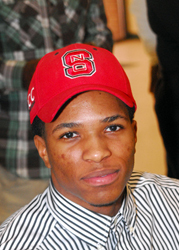 BUNN -- Some technologies have changed, but one constant remains on National Signing Day -- Bunn’s uncanny penchant for producing football players worthy of competing on the four-year level. But the Wildcats might have even outdone themselves during this year’s signing day, which was Wednesday. After a record-setting 2012, the Louisburg College Hurricanes will be in encore mode when the new baseball season opens today at Frazier Field. Most of the faces that paced LC to its highest victory total in school history have moved on -- though a few talented performers remain. LOUISBURG -- Louisburg used a strong fourth quarter to earn a key Northern Carolina Conference girls basketball victory Tuesday at home versus Roanoke Rapids. The score was tied heading into the final frame, but LHS was solid down the stretch to secure a 35-30 decision. JORDAN DENTON. 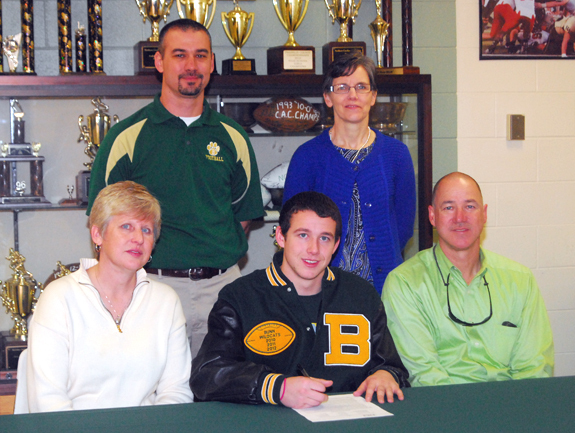 Bunn High School’s Jordan Denton signs a letter-of-intent to continue his football career at NC Wesleyan. Also pictured are (back, l to r) BHS Coach Chris Miller and BHS Principal Robin Faulkner; (front, l to r) Parents Barbara and Scott Denton. J’WAN LEWIS. 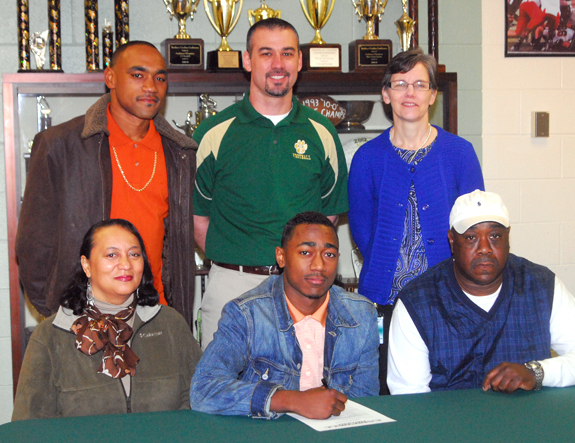 Bunn High School’s J’Wan Lewis signs a letter-of-intent to continue his football career at Campbell University. Also pictured are (back, l to r) Jonte’ Lewis (brother), BHS Coach Chris Miller and BHS Principal Robin Faulkner; (front, l to r) parents Shirley and James Lewis. Louisburg at Bunn 6 p.m.
Warren County at Franklinton 6:30 p.m.
YOUNGSVILLE -- The First Annual Youngsville 5-K Run/Walk will be held April 6 beginning at Luddy Park. The event will begin at 8:15 p.m. Registration and packet pick up will begin at 7:30 a.m.
Pre-registration cost before March 15 is $20 for adults or $15 for ages 17-under. Late registration will be $25. 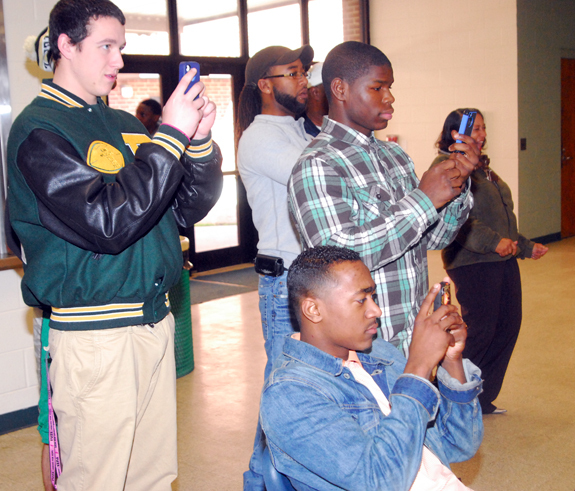 Smartphones were the gadget of the day during Wednesday afternoon’s signing ceremony for four members of the Bunn High School football squad. 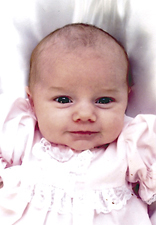 Timothy and Melissa Goodsell of Spring Hope are proud to announce the birth of their daughter, Leah Scott Goodsell, born Jan. 4, 2013 at Nash General Hospital in Rocky Mount. She weighed 6 pounds, 14 ounces and was 20 inches long. Maternal grandparents are Stanley and Linda Nelms of Spring Hope. Stopping refund fraud related to identity theft is a top priority for the tax agency. The IRS is focused on preventing, detecting and resolving identity theft cases as soon as possible. IRS e-file makes it easy for taxpayers to choose which tax form to file. Tax software automatically chooses the best form for your particular situation. Most people e-file these days, but if you prefer taking pen to paper, the IRS has some tips to help you choose the right form. The Earned Income Tax Credit has made the lives of working people a little easier since 1975. EITC can be a boost for workers who earned $50,270 or less in 2012. Yet the IRS estimates that one out of five eligible taxpayers fails to claim their EITC each year. The IRS wants everyone who is eligible for the credit to get the credit that they’ve earned. LOUISBURG — Attorneys for a Franklin County woman dismissed a lawsuit that alleged seeping underground storage tanks contaminated her property. In a complaint filed on April 3, Gracie Oakley said the pollutants have made her well unusable, diminished her property value and cost her money to provide alternate sources of water at the Long Mill Road residence. Sheriff’s deputies arrested a Louisburg College student, charging him with a series of vehicle break-ins. Apparently, he was smokey, the bandit. Adam K. Griffin, 20, of Winston-Salem, was charged with 10 counts of breaking and entering a motor vehicle, one count of breaking and entering, and one count of felony larceny after breaking and entering.